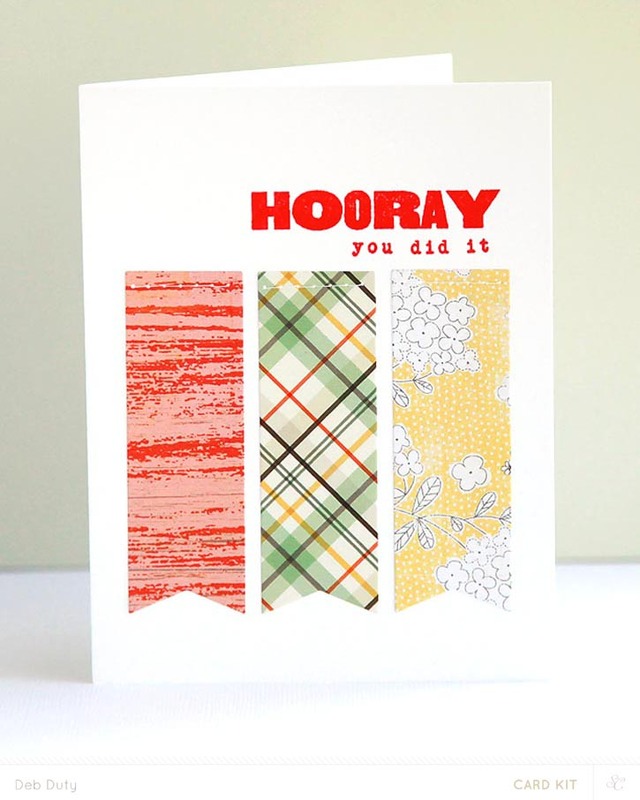 I'm so excited to share my projects with you made with the Studio Calico April Kits, Bluegrass Farm. Presale is going on now for subscribers, and all kits will be on sale tonight at midnight Eastern for everyone. 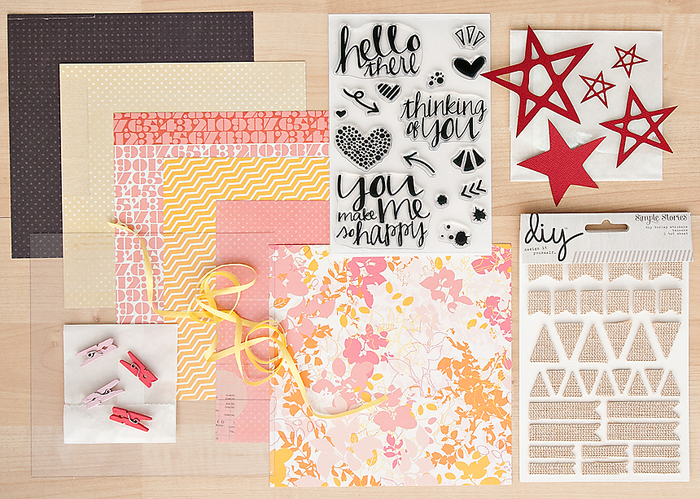 The Bluegrass Farm gallery is live now so check out all the layouts, Project Life spreads and cards made with these awesome kits right here! 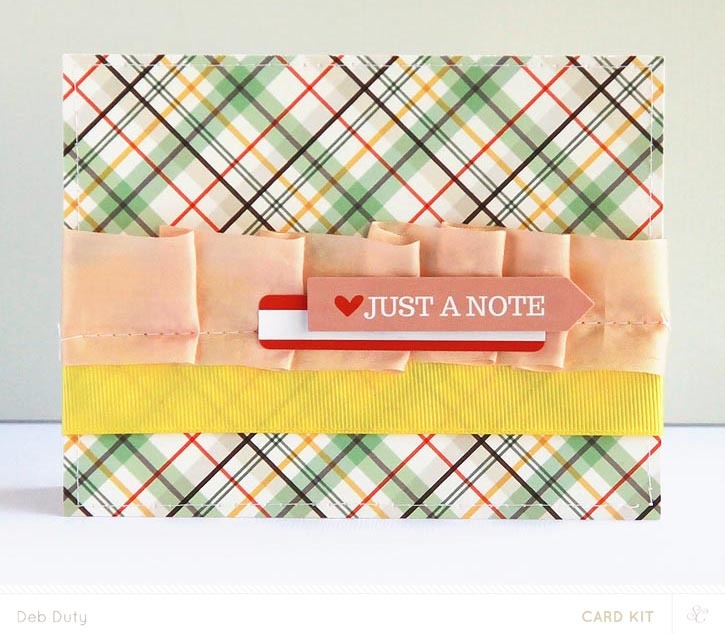 My pick this month is the card add-on, Clarabelle. 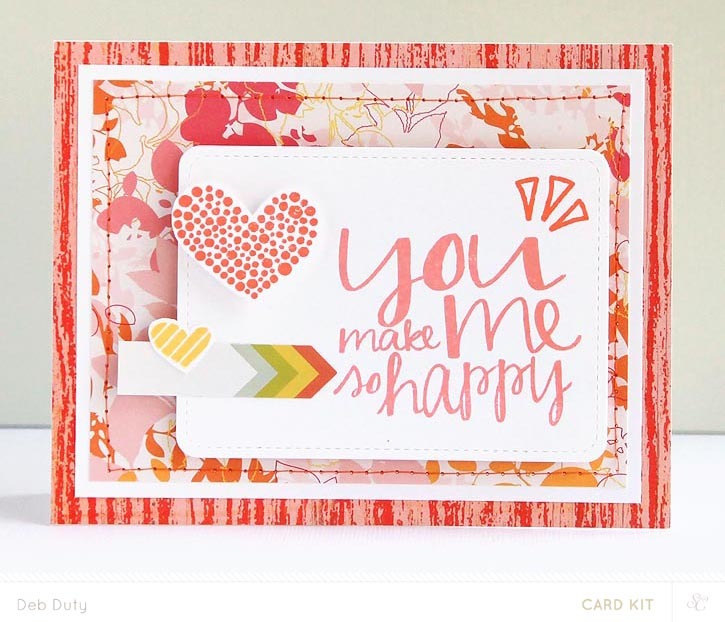 The stamp set is lovely, with beautiful sentiments and hearts and paint splatters! 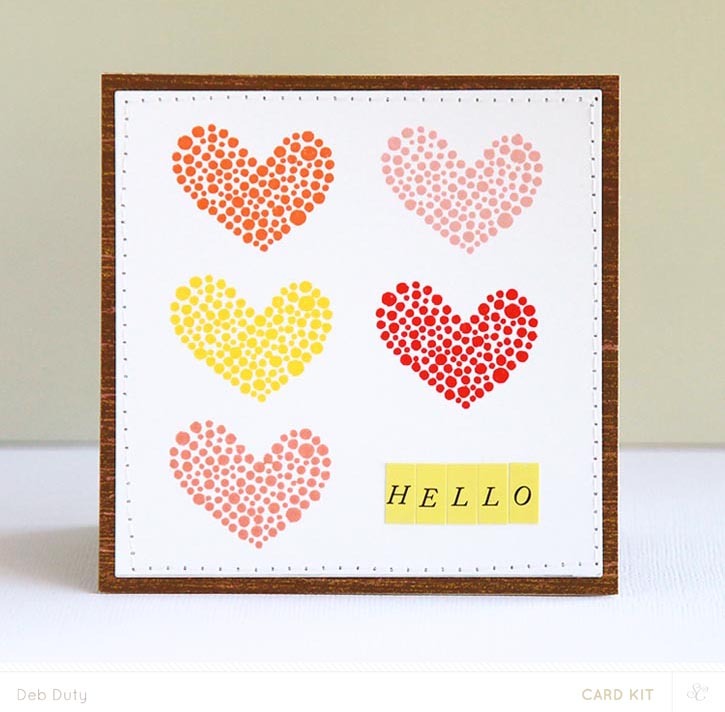 There is also a wonky hearts die set available matching the heart stamps from this set. 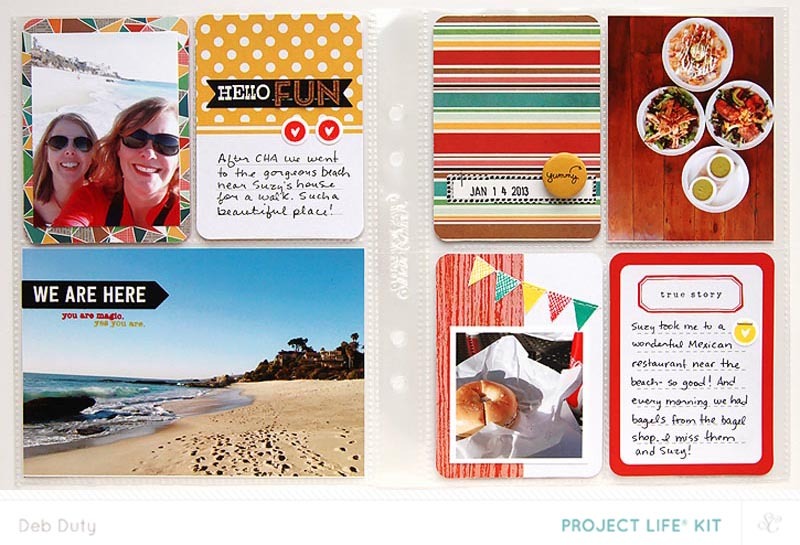 I made two Project Life handbook spreads this month, both using only the Bluegrass Farms Project Life kit. The first spread documents my time in California after CHA last January. And the second spread documents the weeks that my son Mason had Mono including 13 straight days of fever. Not a fun time, but I wanted to be sure and document it. 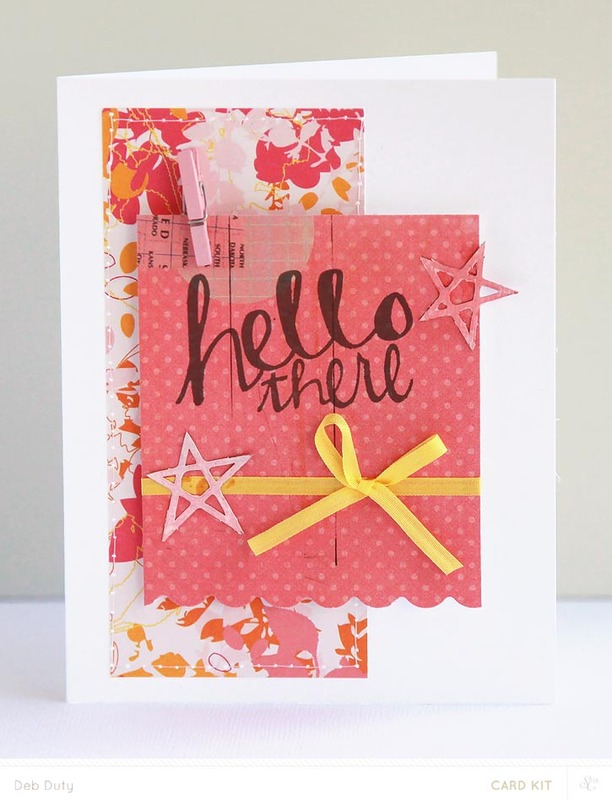 I made seven cards with the beautiful Bluegrass Farm card kit, the Clarabelle add-on and the Buttercup stamp and die add-on. I just love everything you make Deb. 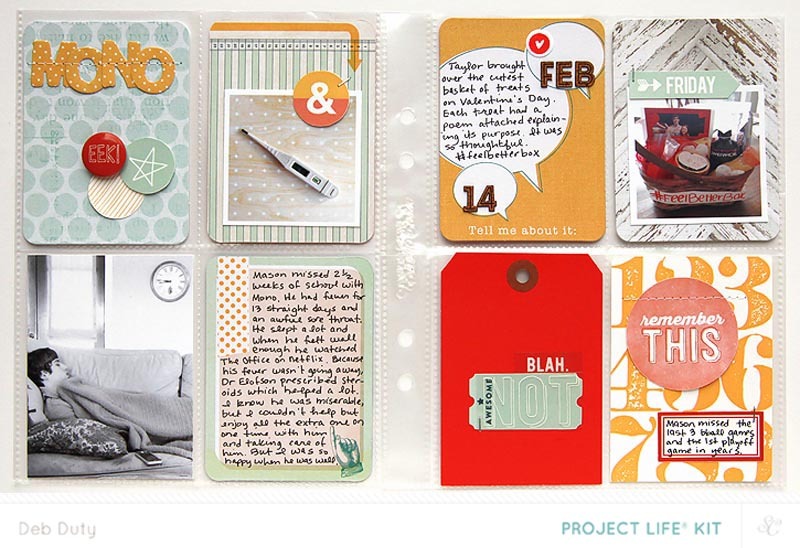 The cards are adorable and I love how you are using the handbook for your PL pages. You did a great job of documenting Mono. Love it all - especially all those cards! Can't wait for my kits!